Are you having difficulty finding your new house ?You are not in the area ?You don’t have the time ?You have the feeling your questions are not being understood ? Effectimmo facilitates the purchase of your appartment or house by way of a dedicated Property Agent who will know how to help you on your search for that perfect property that you are dreaming of. Tired of having to repeat yourself to each new contact as to what you are looking for and have the feeling of not being heard or not being taken seriously ? Your Effectimmo Agent is here to assemble your main criteria but equally to identify your smaller or secondary requirements. With his knowledge of the local area, he can also advise you on the locations which could best suit your ideal lifestyle or your property project. Your Effectimmo Agent gives you access to numerous, quality property opportunities thanks to his contacts with other agents in the property market (individuales, estate agents, agency networks, solicitors, property asset managers, developers,…) and analyses, each day, 100% of the new adverts. Equally, his constant market presence enables him to be aware of new opportunities before they come on the market. Eliminate pointless, time wasting visits. Your Effectimmo Agent carries out a rigourous analysis of each property which corresponds to your aspirations. 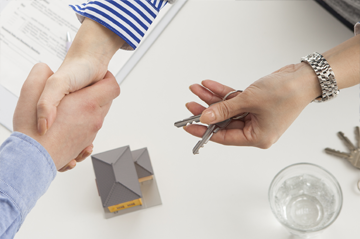 Each property is then visited by our Agent to make sure that it matches your criteria before reporting back to you. While an estate agent usually defends the seller’s interests, your Effectimmo Agent is here to defend yours : you are his client. Through his ability to sense the most effective levers of negotiation, this allows you to buy at the fair price. Verification of the different technical aspects of the property, search for the best financing plan, help with the sale of your previous property, organisation of administration procedures, dealing with the solicitors (notaires)….. All is taken care of by your Effectimmo Agent who takes his duty seriously to provide information and advice and therefore allows you to secure your investment. Our property search service is carried out in strict compliance with the Act N° 70-9 of 2nd january 1970 know as the Loi Hoguet Act : you only pay a fee in the event of your purchase being successfully concluded.